With Gypsy’s Warning challenging her title for the Matriarch Stakes Grade 1 on 25 November and recently being in the media for selling at the Keeneland November Sale for a price of $1.05 million, we have a look at her dam Gypsy Queen who resides at Rathmor Stud. 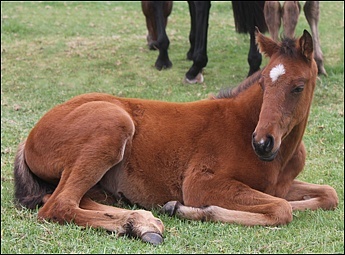 Gypsy Queen foaled a beautiful bay filly on 24 September by Fort Wood. 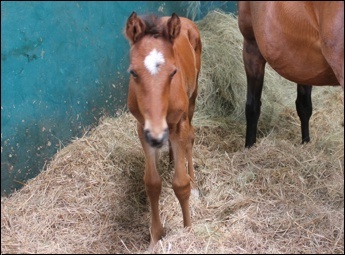 This makes the filly a full-sister to Gypsy Madonna, who sold for R1 350 000 to Varsfontein Stud at the 2011 Emperors Palace National Yearling Sales – Varsfontein Stud looking to not only race her but to add her to their broodmare band, and Gypsy Queen has been sent to be covered by Kahal for this season. By 1988 Durban July winner Royal Chalice out of Sara’s Warning(GB) by Caveat(GB), Gypsy Queen is a full-sister to Royal Prophecy and Noble Destiny – each of those being classy Graded Stakes winners. Her half-sister by Caesour – Emperor’s Warning was a 2-time winner herself and is now the dam of 4 winners including Tales Of Bravery, by Kahal. Tales Of Bravery has had 7 wins and earned R935,520 and his races include wins in the Matchem Stakes Grade 3, Winter Classic Grade 3 and he has placed 7 times in good company. Gypsy Queen has an exceptional dam-line filled with Black-Type winners – with Vin Fizz, the dam of Grade 1 SA Classic Winner Pierre Jourdan appearing as a descendant of Allegation(GB), the fourth dam of Gypsy Queen. Gypsy Queen has produced 6 runners and 4 winners to date including 7-time winner The Tallisman by All Fired Up, 4 time winner Bannock Burn by Among Men, Surabi and Gypsy’s Warning. 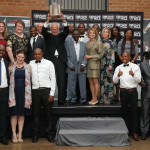 Surabi is by Wolfhound, and a 7 time winner earning R663,580 from age 2 to 5 over 1000 – 1200 metres. 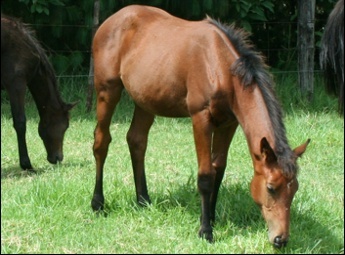 She was a R140 000 yearling at the 2005 Caesar’s Palace National Yearling Sale. Her wins included the Camellia Stakes Grade 2, and the Gardenia Handicap (Listed). She placed 8 times, including seconds in the Fillies Nursery Grade 2, Pretty Polly Stakes Grade 3, Three Troikas Stakes Grade 3, and a third Acacia Handicap Grade 3. 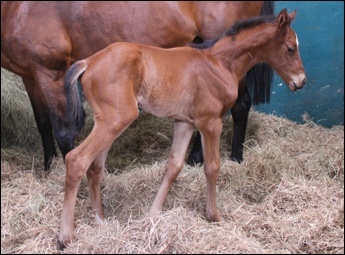 Surabi is the dam of 1 foal to date, a 2010 colt by Fort Wood called Sundari. 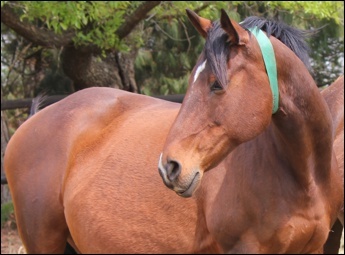 Her 2005 filly produced was Gypsy’s Warning by Mogok. Gypsy’s Warning sold for just R170 000 at the 2007 Emperors Palace National Yearling Sales, and to date she has had 5 wins in South Africa and 2 wins in USA. 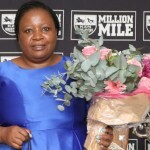 From the age of 2 to 5 she has won over distances of 1200 – 1800 metres, including the SA Fillies Classic Grade 1, Thekwini Fillies Stakes Grade 1, and in America under ownership of Team Valor, she has won the Matriarch Stakes Grade 1, Acacia Handicap Grade 3, Eatontown Handicap Grade 3. She has placed 7 times – her South African placings including a third in the Golden Slipper Grade 1, the Woolavington 2000 Grade 1, Empress Club Stakes Grade 1, the Ipi Tombe Challenge Grade 2, and the Strelitzia Stakes Grade 3. In America she has placed in the Beverly D Stakes Grade 1, and the Yellow Ribbon Stakes Grade 1, and more recently ran a third in the Miss Liberty Listed Stakes. Offered as a racing/broodmare prospect recently at the Keeneland November Sale she was number 21 at the top of the results list – with Royal Delta selling for a phenomenal sum of $8.5 million at the same sale – from 2554 horses sold at the sale (3920 horses were offered!). 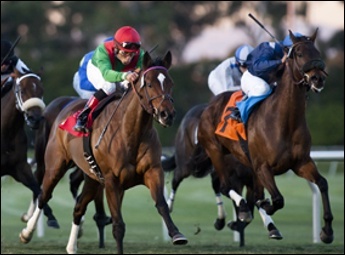 Gypsy’s Warning is expected to run on 25 November in the Grade 1 Matriarch Stakes, a race she has won previously. She will remain with her previous trainer, Graham Motion. Gypsy’s Warning was purchased by Flaxman Holdings which is owned by the Niarchos family, and interestingly they bred her sire, Mogok. Gypsy’s Warning has earned a stakes of $512,912 in total. 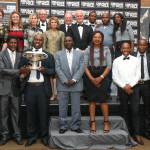 Rathmor Stud won the Equus Breeder Award 2011 For International Achievement for Gypsy’s Warning. 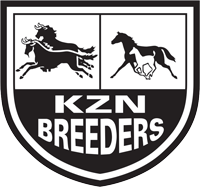 R1 350 000 this year, her filly Queen Of All sold at the 2010 Emperor’s Palace National Yearling Sales for R310 000, and her son by Al Mufti, Leroy Brown, sold for R600 000. Queen Of All and Gypsy Madonna are currently unraced.